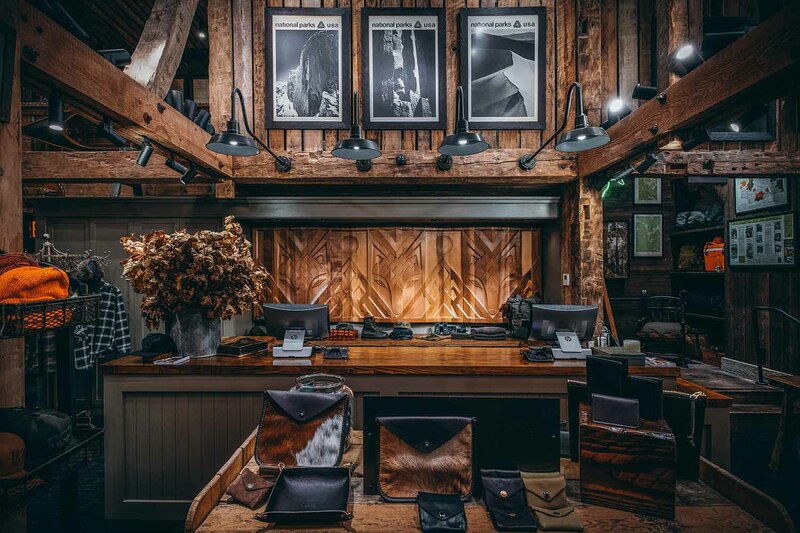 Just in time for the holidays, rugged outdoor outfitter Filson opened its newest brick and mortar store – Filson New York Flagship on Friday November 9th. Located at 876 Broadway Ave., the 6,000-square-foot space showcases Filson’s entire product line, as well as handcrafted specialty products from a variety of purveyors. This is the second retail space for the Seattle-based company in New York City, the first one sited at Great Jones Street. 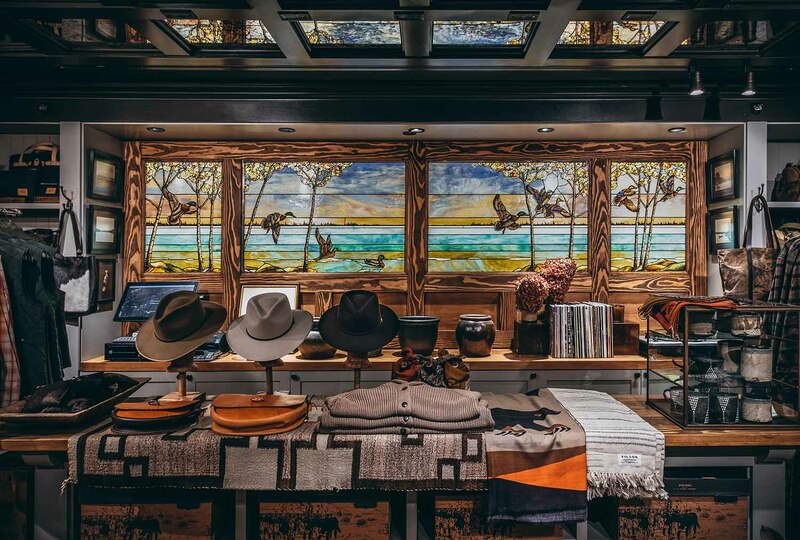 “This retail experience is like nothing else in the city, and it truly brings the brand to life in a way that honors our Pacific Northwest roots, while meeting the demands of our dedicated New York customer,” said Steve Bock, CEO of Filson. From one of a kind product to expanded men’s and women’s apparel to our full lineup of luggage, bags and accessories – the entire Filson experience will be on display. Additionally, Filson’s Great Jones Street location will continue to push the brand forward with unique product, partnerships and experiences that reflect that neighborhood and customer base. Filson New York Flagship features several Pacific Northwest artists who were commissioned to create unique art for the space, bringing nods of the brand’s sense of place to life. The commanding entryway features a reclaimed Douglas Fir barn from the 1850s relocated from Ashland, Oregon, to New York. Weighing more than 7.5 tons, the barn has been refabricated and serves as a centerpiece structure within the space. Additional pieces include a 14-foot chainsaw-carved wolf sculpture by Jeffrey Samudosky, a 3D wood-carved wall-mounted sculpture with a contemporary take on Northwest indigenous carvings by Aleph Geddis and a stained-glass piece by David Fjeld. 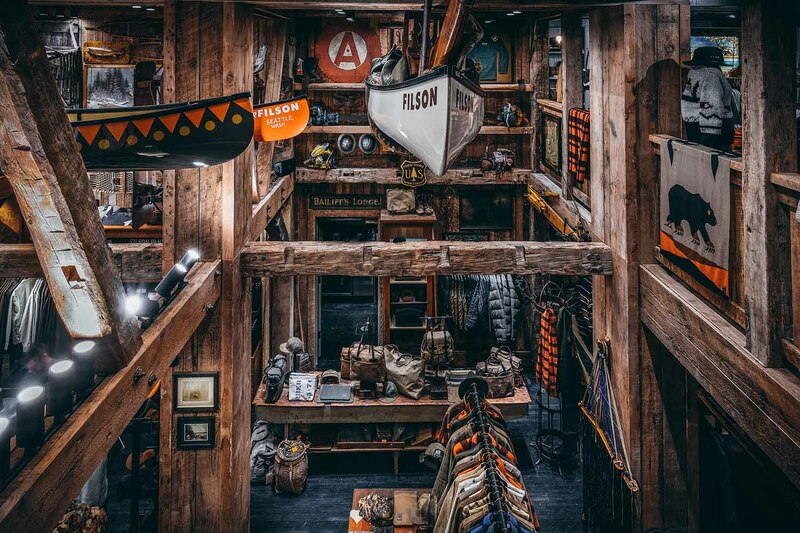 “Filson New York Flagship stands for so much beyond a brick and mortar retail store; this represents a new space for people to discover what the Pacific Northwest and the great outdoors means to them. Our products and merchandise simply exist to further that exploration,” said Alex Carleton, Chief Creative Officer of Filson. The opening of Filson’s New York Flagship bookends a notable East Coast expansion for the brand in 2018, which opened stores in Boston and Washington, D.C. earlier this year. The Union Square location also marks the second New York City presence for Filson, which also owns and operates the C.C. Filson Store in the city’s NoHo district. Filson now operates 17 full-price stores and two outlet locations globally, 14 of which have opened in the last five years. Known for durable fabrics, such as its Tin Cloth and Mackinaw Wool, Filson products come with a lifetime guarantee. Filson has stayed relevant for more than 120 years and has drawn a diverse group of fans and customers consisting of adventurers, anglers, hunters, outdoor professionals, tradespeople and a growing urban community, all of which are inspired by long-lasting goods and the rugged aura of the Pacific Northwest.